The web has once again been sent buzzing, this time by the announcement that U.S. Forces have killed Osama bin Laden, who masterminded the 9/11 attacks among others. Undoubtedly, bin Laden was responsible for the deaths of many thousands of people and the suffering of untold thousands more. But should Christians really revel in the death of anyone, even someone as wicked as bin Laden? Doesn't the Bible tell us to pray for those who persecute us? Did not Paul's command in 1 Timothy 2 to pray for those in power even include Nero, who persecuted the church mercilessly? As you can see, there is much confusion on just how Christians should respond to such news. If we are to follow the command of Christ, we should love our enemies. However, we also need to reflect God's desire for justice in the world. 1Do you indeed speak righteousness, O gods? Do you judge uprightly, O sons of men? On earth you weigh out the violence of your hands. These who speak lies go astray from birth. Like the miscarriages of a woman which never see the sun. He will sweep them away with a whirlwind, the green and the burning alike. Surely there is a God who judges on earth!" Psalms such as Psalm 58 are known by theologians as imprecatory psalms, which basically means the Psalmist is calling a curse from God down onto his enemies. These psalms have been the subject of many debates as to their meaning since they seemingly contradict the commands to love our enemies noted above. But we know that all Scripture is inspired by God (II Tim 3:16) and that this Psalm's author, David, was said to be empowered by the Holy Spirit when writing his psalms (Acts 2:33-35). So much about bin Laden's reign of terror and his subsequent death is reflected in Psalm 58, I think we can gain a better understanding of how we should react by studying it more closely. 1. None of these psalms should be read with the notion that the Psalmist is calling for revenge or individual retribution. In all the imprecatory psalms, the psalmist is motivated by seeing God's justice served. David models this himself in other psalms that call for the destruction of his enemies. In Psalm 31 David writes "In your righteousness deliver me!" and in Psalm 109 he writes , "They have also surrounded me with words of hatred, And fought against me without cause. In return for my love they act as my accusers; But I am in prayer." He also modeled this both when Saul pursued him unjustly and when Absalom usurped his throne. Asking God that justice be done is not the same thing as carrying out an individual vendetta. Such distinctions are important. Another thing the imprecatory psalms do is underline the notion that God hates sin. Sin is real, and it's truly offensive to our Father in heaven. 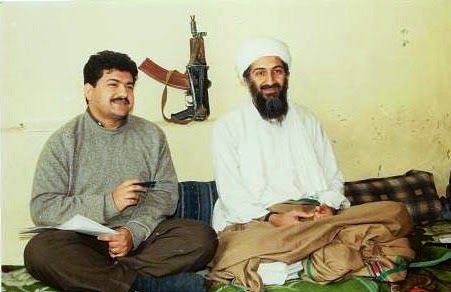 Osama bin Laden was a murderer who took glee in snuffing out those made in the image of God. Sometimes as Christians we are so concerned with not offending anyone that we overlook this fact. However, Jesus used strong and condemning language to underscore sin's heinous nature. He took the Pharisees to task several times, going so far as to call them children of the devil and only seeking to do the devil's will (John 8:44). He said to the citizens of Capernaum that they would go straight to hell, since Sodom would have believed had they seen the miracles he performed (Matt 11:23). He took a whip and drove out the moneychangers from the temple (John 2:15). Sin provokes a pretty strong reaction from our Lord and it should also provoke one in us, too. Note that sometimes the language in the psalms is hyperbole – meaning it uses overblown images to make a point. I don't think we should take the passage "shatter their teeth in their moths" literally any more than when David writes in Psalm 6 "Every night I make my bed swim, I dissolve my couch with my tears." Jewish poetic style uses hyperbole in this way, and we should understand it as such. It does, though, make a strong point about God's view of sin. 3. It is God's glory to provide justice. Note the end of Psalm 58 where David writes, "The righteous will rejoice when he sees the vengeance; He will wash his feet in the blood of the wicked. And men will say, ‘Surely there is a reward for the righteous; Surely there is a God who judges on earth!'" God's divine justice is served when evil doers are given their just due. The righteous can point to such actions and know that God will ultimately be a righteous judge and provide justice for His righteous ones. Unbelievers are given a witness of God's righteousness. And because Romans 13 claims that governing authorities can serve as God's servants, meting out His justice, we can be thankful that the action was done in an orderly way--not by wiping out entire sections of a foreign country, but through a surgical strike that respected those other people made in the image of God in Abbottabad. Reuters even reports that once dead, the U.S. handled his body in accord with Islamic customs. So, how should we respond to the death of bin Laden? We should first lament the sin we see in the world, including our own. We should rejoice that God's justice was in fact carried out in this instance. We should grieve that the gospel hasn't penetrated the hearts of people like bin Laden and those who sincerely followed him. And we should, like David, pray for them. Pray that they would know the love of Christ. Pray that God's justice will ultimately be seen. And pray that no more would die in response to a lie. That would be truly loving one's enemies. Image courtesy Hamid Mir and licensed under the Creative Commons Attribution-ShareAlike 3.0 Unported license.